The Kevi Air office and work swivel chair has a 9mm seat and 8mm back made of PPGF (Polypropylene with glass enforcement). The five-legged base comes with glides or castors, with or without brakes. The chair has an automatic height adjustment. Base in satin polished aluminum and the seat is available in 8 different colours. 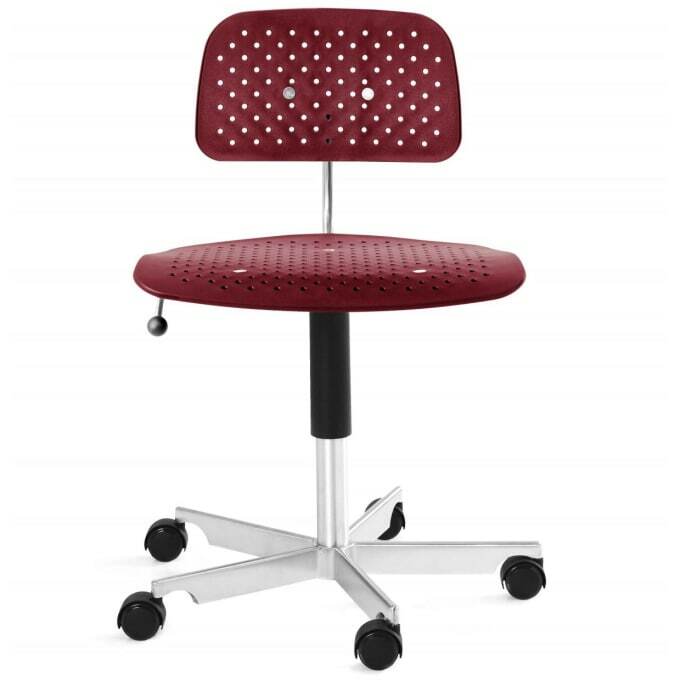 The swivel chairs in 3 exceeding heights come with a satin polished aluminum foot ring. Do you have a question about "Kevi Air"? How can we contact you?